I bought a lot of zucchini with the thought that I would make it as a side dish for Thanksgiving. However, I went with the vegetable medley and used only a half of one zucchini. That left me with a few unused ones. 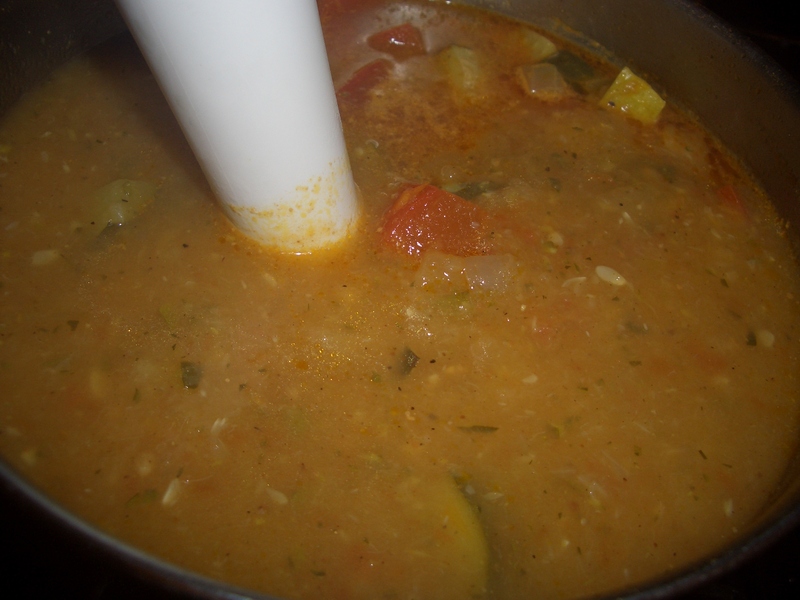 I could have made zucchini spaghetti – and I still might since I only used two of the 3 remaining zucchini for this soup. I can’t claim inspiration for the rum as I found this combination of flavors in one of my favorite cookbooks: The Summer House Cookbook by Chris Casson Madden. It was published in 1979 and I’ve been using it ever since. It cost $5.95 new – what a deal! You can find used copies on Amazon for a penny + shipping, it’s worth getting and still a deal! 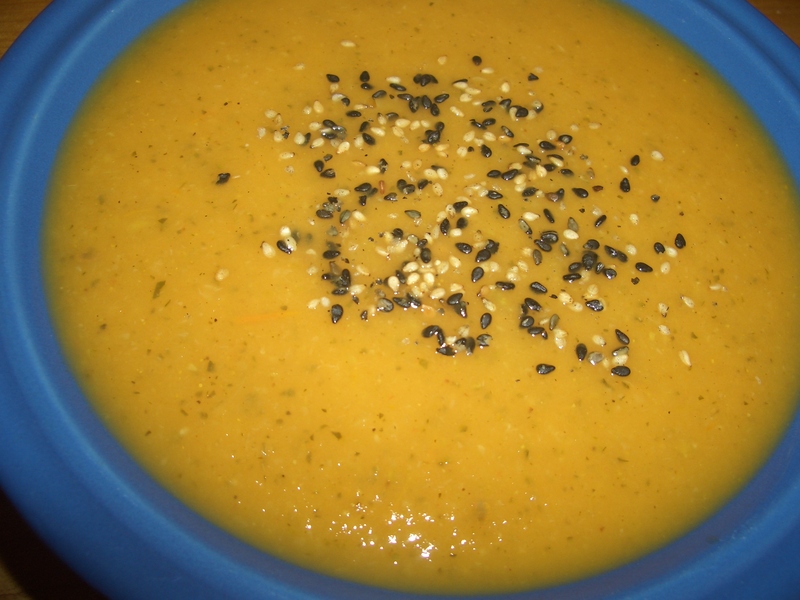 Enjoy this easy-to-make, satisfying soup. 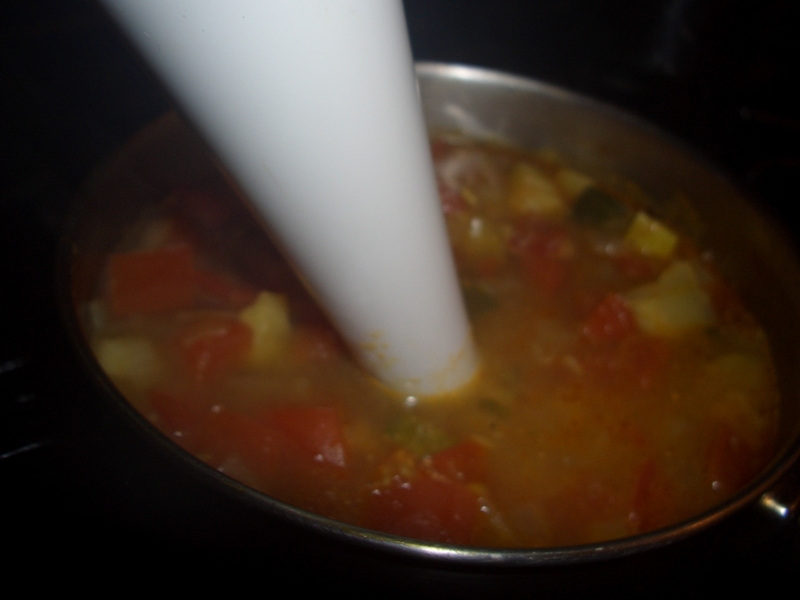 You really do taste the rum in this soup. 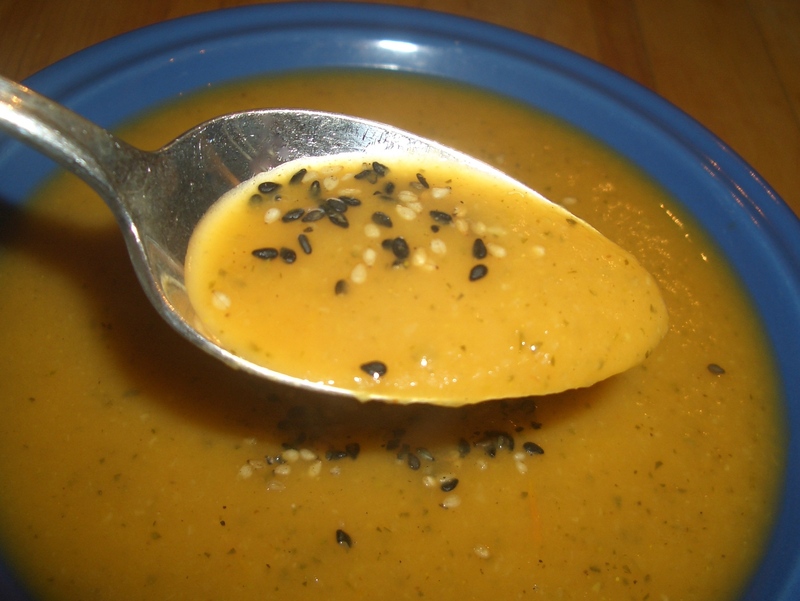 You can start with 1 tablespoon and add more to taste if you are unsure of your feelings about rum flavored soup. For a Paleo version use the balsamic vinegar instead of the rum. 1. 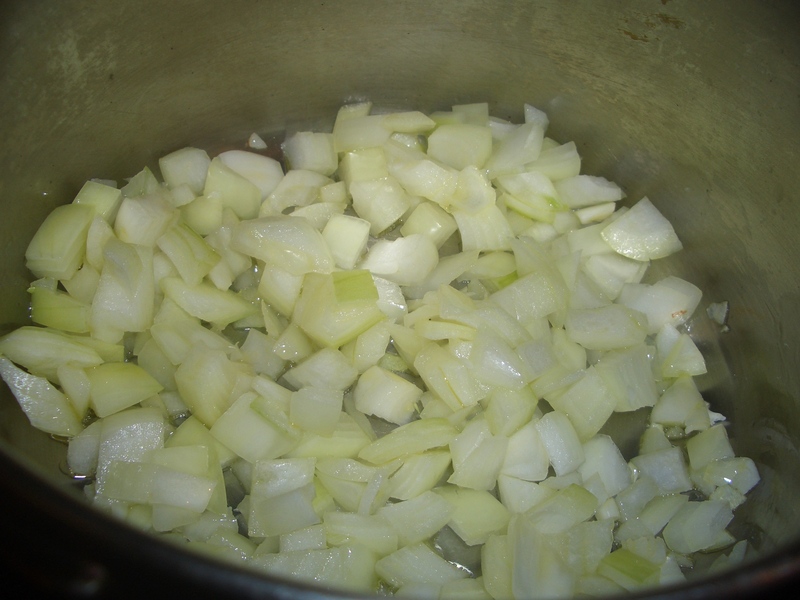 In a 2 or 3-quart pot, heat the oil over medium high heat, add onion and cook, stirring, until softened. 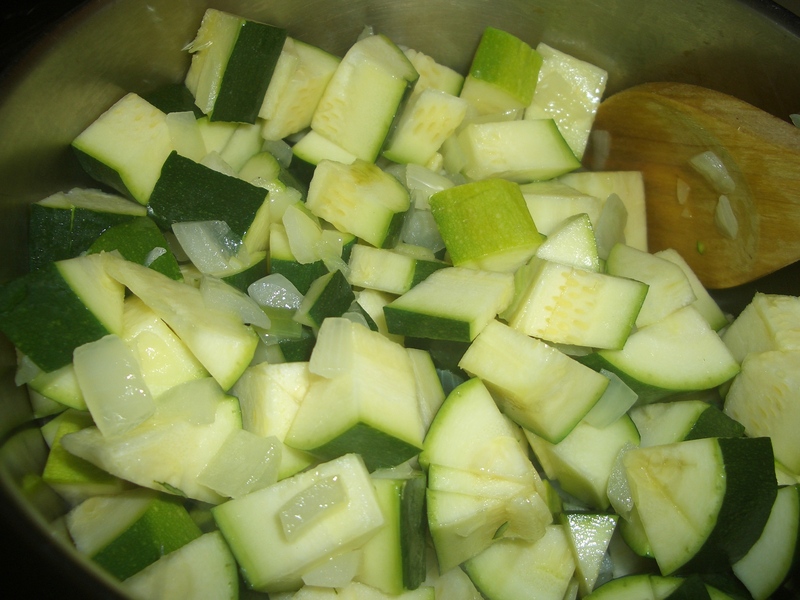 Add zucchini and continue stirring until softened. 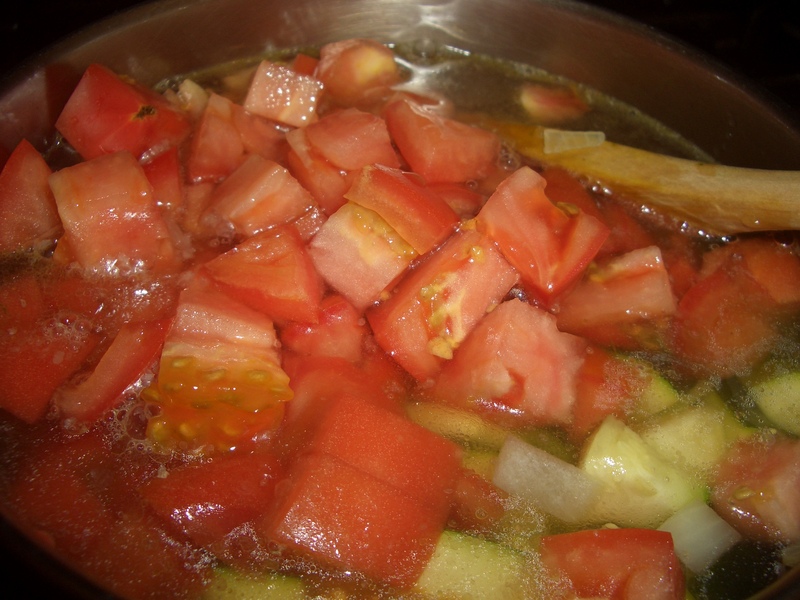 Add broth, tomatoes, and spices; bring to a boil. 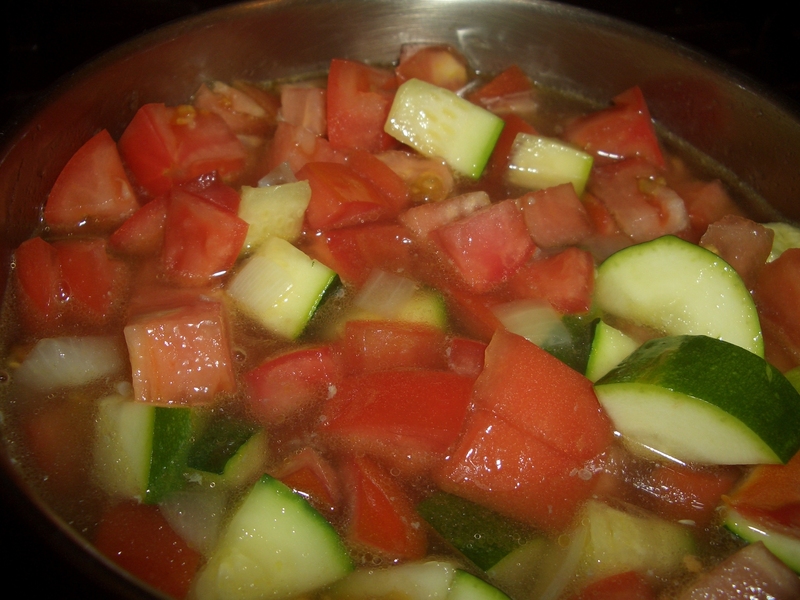 Reduce heat and simmered, covered, 30 minutes. Stir in rum, maple sugar, and salt; cook 2 minutes longer. 2. 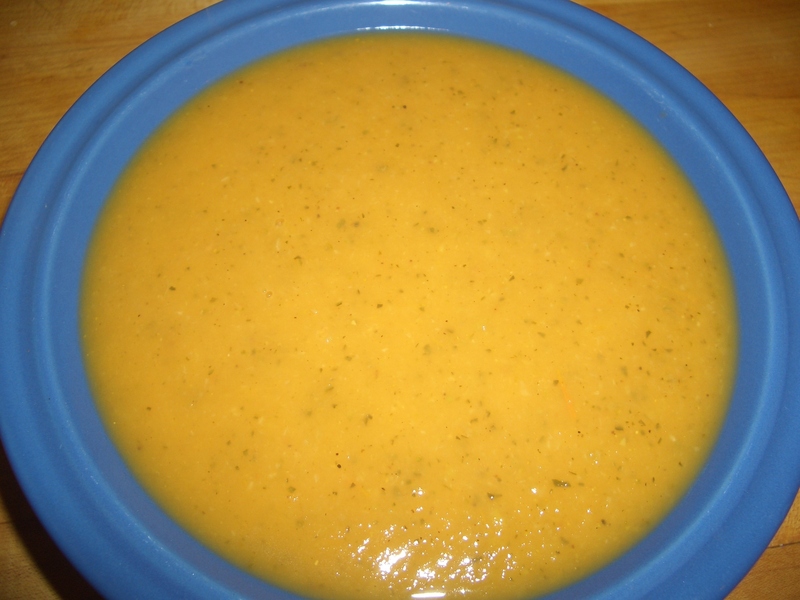 Using an immersion blender blend until pureed; or place in blender container, cover and process until blended (you may need to do two batches). Serve hot or chilled. Garnish with sesame seeds, chives or other chopped herbs.